The Park Chennai – a blockbuster! Recently, I received the same message many times from the whatsapp groups of my hospitality and Hotel administration contacts. The message was about Mrs. Krishna Arora, about her life, her teachings and her cookery bible. It showed the respect the lady earned through her inspirational life and body of work. People who were fortunate to have their lives touched by this inspirational lady learned many valuable lessons from her. She always believed that one is never too old to set another goal or to dream a new dream, and she emulated that. She had celebrated her 90th birthday earlier this year in true ‘Krishna Aunty’ style- singing, dancing while meeting her family and friends. She was extremely lively and a star at every gathering. She was a great teacher, a community stalwart, a culinary expert and food enthusiast; Mrs. Arora was popular with her students, colleagues and associates alike. 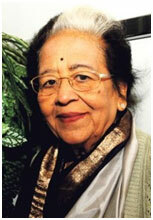 Her contributions to Monash’s Indian community were recognised with the Order of Australia Medal. She had expressed that one of her greatest achievements was being written onto the Queen Victoria Women’s Centre Shilling Wall for her contribution to Indian women’s welfare. 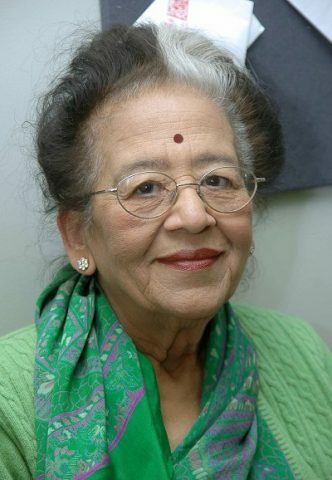 She authored several cookbooks and maintained a regular food column in Indian Voice, a local community publication in Australia, where she lived post her retirement. 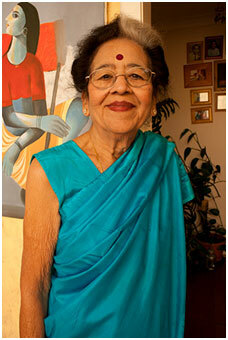 They say legends live forever in hearts; Mrs. Arora was such alegend. Many hotel management students cleared their basics of cooking from her book. Probably an Indian Larousse for every student of hotel management and culinary arts. Her achievements were far and beyond exemplary. Her time and effort spent servicing the wider community was a true reflection of her hard work and her fighting spirit. Even in her final few days she was in her finest form. Her light will burn on, in those she has touched and we are honoured to have been around during her life timeand we salute her for her lifelong dedication to her craft. A rigorous curriculum in ‘The Art of Cookery’ at IHMC&N, Pusa, formulated and inspired by Mrs. Arora has not only successfully equipped her students with the life skills, but has also enabled them to become successful professional chefs and managers, and besides that many have done extremely well, and they have joined the list of exceptional alumni and ‘Celebrity’ status that IHMCTAN Pusa has produced, under her able training, mentoring and guidance. No wonder, IHM Pusa, has been adjudged among the best Hotel Management Institutes in the country time and again. Her contributions, however, are not only confined to India, alone, but she has also been greatly instrumental in sharing her knowledge and experiences with the people of Australia. 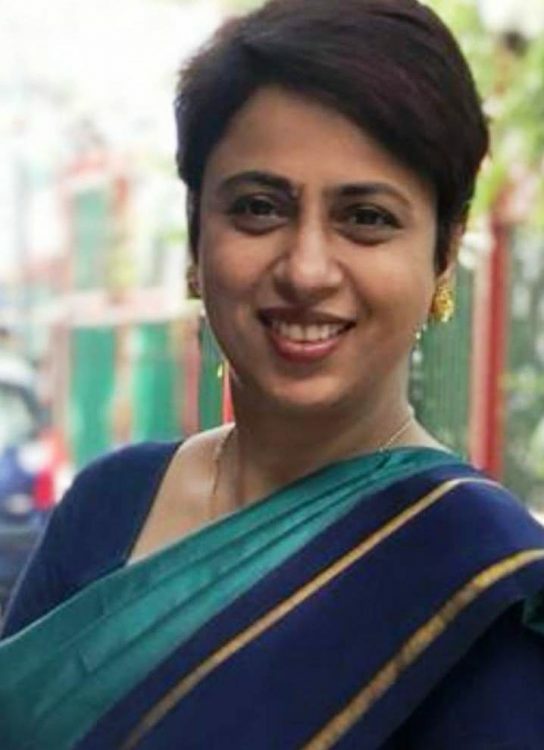 She was born in Bangalore, she studied hotel management and went on become the HOD and subsequently the principal of the Institute of Hotel Management in Pusa, Delhi, India. She migrated to Australia in 1992, after retirement. Relocating to Australia after spending her life in India got her new challenges and perspectives. She had heard that Australians liked to keep to themselves and passed their time by doing community work, which she thought was a great idea. To keep herself busy she started taking up volunteer work for MECWA where she worked for seven years. After living in Australia and getting to know the people, she developed a greater understanding of their ways of life. The Multicultural Policy she felt was one of the best things the Government introduced. Auntyji, as she was fondly called by all in Melbourne, she started afresh by making new friends, volunteering for many projects and cooking for Meals on Wheels. She taught Asian cooking for two years at the Maribyrnong Community Centre and gave cooking demonstrations at the Immigration Museum, Girl Guides and schools. She volunteered with more than 10 community organizations, since moving to Australia. Mrs. Arora was the co-founder of the Indian Senior Citizens Association (ISCA) and also served on the Executive Committee of Federation of Indian Associations of Victoria (FIAV) as a representative of the Sangam community organisation. She also volunteered at the Malvern Opportunity Shop and been heavily involved in the Flavours of Monash festival. The book is aimed at students who are studying culinary science. It can also help anyone interested in food preparation and in understanding the various processes used to produce the tasty dishes that diners enjoy. It is designed according to the syllabus defined by the National Council for Hotel Management and other catering technology institutes in India. 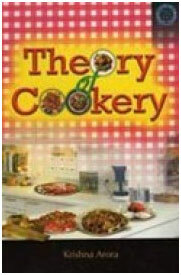 It traces the history of cookery and explores various cuisines of the World and Indian Cuisine. It goes into kitchen and production management for students and professionals of culinary science and hotel management. She was awarded the Order of Australia Medal (OAM) in 2013 and became the first Indian woman to be honoured with the Shilling Wall Tribute award by the multicultural commission of Victoria for her outstanding contribution to the community. She taught Asian cooking to Australians for two years at one of the Community Centre in Western suburb of Victoria.